A public debate on empowering women, the cover story of last issue of Aspen Review quarterly. Their experiences and opinions come to share Jan Bubeník, Bubenik Partners, Klára Laurenčíková, former Deputy Minister for Education, Dita Přikrylová, Czechitas (her cover story in the actual issue). 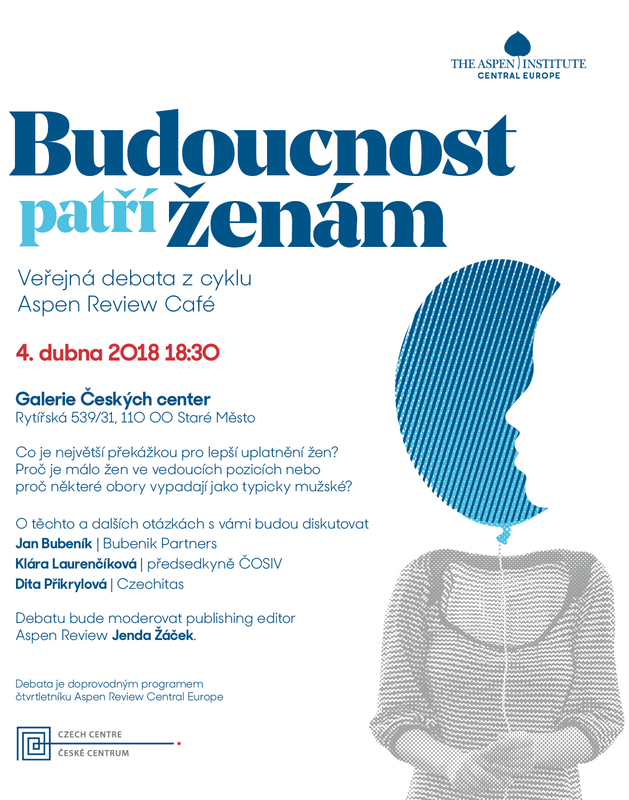 The debate will be chaired by Jenda Žáček, publishing editor of Aspen Review. The debate will be in Czech language!